For those following our online marathon and half marathon schedules, we’re now one month into training. I hope you can look back on the last month and see the progress you have already made. (Yes! If you did the Kenyan Hills last Tuesday, you really can run up twice the number of Primrose Hills you could at the beginning of the month). February marks the beginning of a divergence between the marathon and half marathon schedules. For marathoners this month is all about the Sunday long run. For half marathoners, you should let the marathoners go off on their own. You want to keep fresh with a shorter Sunday session so you can really nail the Thursdays. Whichever distance you are targeting, we’ve got three races coming up to keep you focused. This Saturday there is a Met League cross country fixture in Trent Park. You’ve done the Kenyan Hills, now test out your hill running skills for real. This race is definitely one of the best Met League races and possibly the best. I have to say this partly because it is organized by Chaser Rob Scott (also of Barnet and District AC, the host club) and also partly because it is true. Just turn up with your spikes and your Chasers vest on the day. Spikes are essential this late in the cross country season. Expect mud. 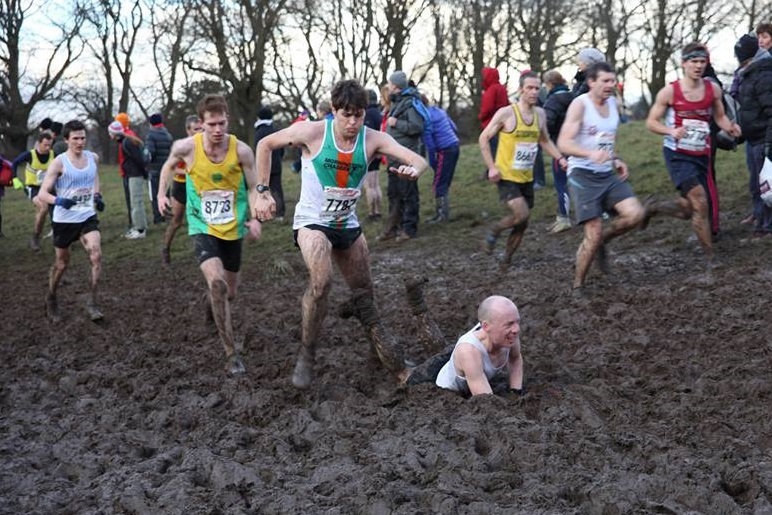 On Sat 24 Feb we have the National Cross Country Championship taking place on Parliament Hill. This is THE cross country race of the season (see the photo of the women’s race below to get a hint of the scale). If you haven’t signed up already, you’re too late I’m afraid. Just remember to sign up next year (it will be the southern champs next year not the nationals, but the southerns are even better). On Sun 4 March we have the Mornington Chasers 10K club championship taking place at Regent’s Park. You should already be able to claim free entry from the marshalling you did earlier in the series, right? If you want to race it and haven’t marshaled, there are still spaces available via the usual online entry. Marathon runners can’t afford to take both the National Cross Country Championship and the 10K club championship seriously. The fact is your weekend focus needs to be long runs and you shouldn’t take two weeks in a row off long running. Our schedules recommend that marathon runners race the National Cross Country properly and then chill out the next day. The next week the schedule suggests you build the 10K race into a long run rather than racing it full on. However, if you haven’t got a place in the national cross country championship, I’d recommend swapping the two weekends around doing a long run the first weekend and then racing the 10K properly. Half marathoners can do both, but personally I’d suggesting holding back a little in the cross country to try and keep something in the tank for the 10K. I hope you’ve enjoyed your first month of training. Have a fabulous February.